Attorneys prosecuting a Chicago police officer in the 2014 shooting death of black teenager Laquan McDonald say the officer's recent newspaper interview violates a court order not to discuss the case. Special Prosecutor Joseph McMahon filed a motion Thursday asking that Officer Jason Van Dyke be taken into custody or that his bail be increased because of an interview published in the Chicago Tribune a day earlier. McMahon asked for a hearing before Judge Vincent Gaughan on Saturday. The motion accuses Van Dyke of violating a court order prohibiting discussion of the evidence in the case, and that he “intentionally caused public dissemination” of statements that relate to the charges against him, according to the prosecution. Gaughan has ordered attorneys not to discuss the case with the media. Van Dyke’s attorney Dan Herbert issued a statement criticizing the filing, saying that his client did not violate court orders. According to the Chicago Tribune, two of Van Dyke’s attorneys were present for the interview, and lawyers requested questions be submitted in advance. Attorneys also directed Van Dyke not to respond to certain questions about the case. 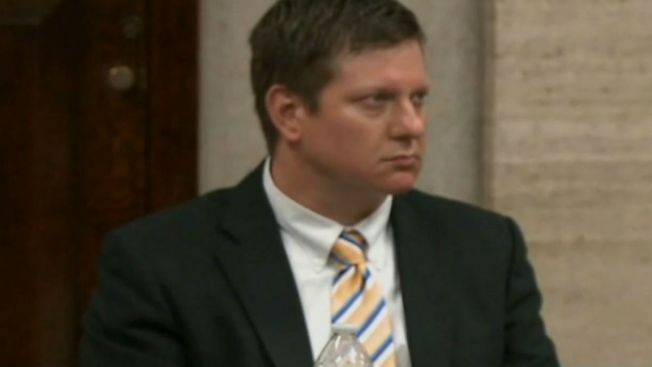 Jury selection in Van Dyke’s trial is set to begin on Tuesday.